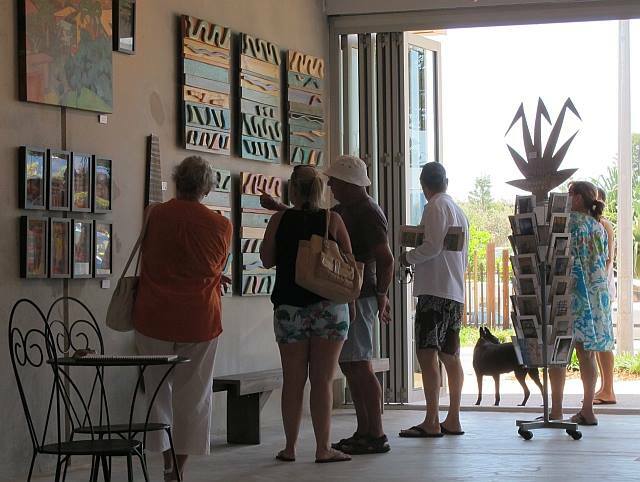 Shop 7, ‘Sea Coolum’, the esplanade, David Low Way, Coolum Beach, Sunshine Coast, Australia. 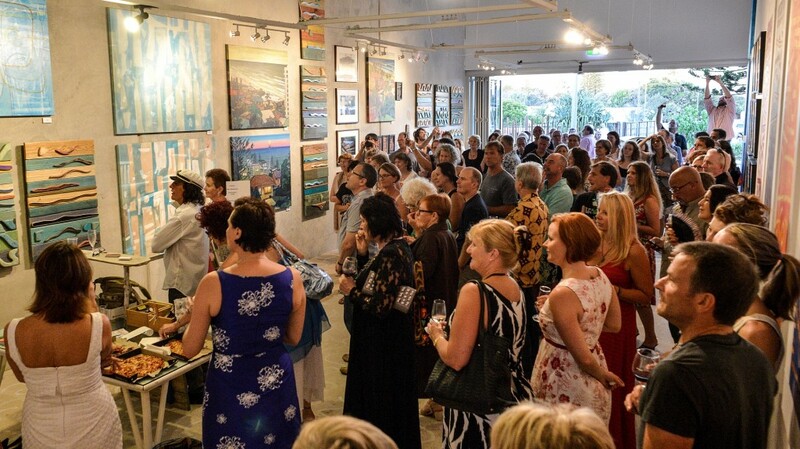 Blair McNamara’s new art gallery in his home town of Coolum Beach was opened by ABC Coast FM’s Mary-Lou Stevens. 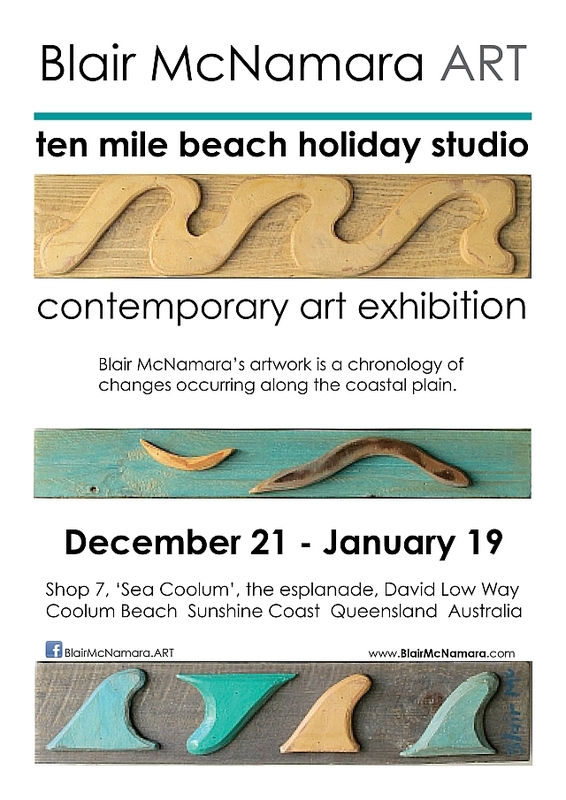 A solo PopUp art exhibition of paintings, photographs and other multi media works as the TEN MILE BEACH HOLIDAY STUDIO by Blair McNamara. “My home town is the best possible location for my art because ‘down the front’ as we used to call it, is where the roots of my surfing and artistic inspiration began.” says Blair. 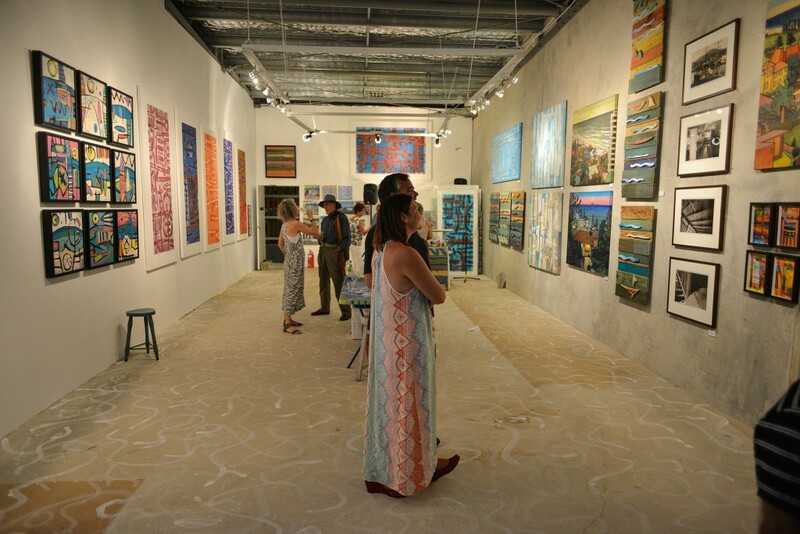 Blair McNamara is a 1981 graduate of the Qld.College of Art and his first ever solo exhibition was in 1988 on the corner of the Coolum Beach esplanade at Lisa Davies’, Katz Wizka Kafe. That year he won 1st prize for a perspex sculpture at Brisbane’s World Expo 88 and has worked as a full-time visual artist ever since. In October 2013, University of the Sunshine Coast acquired nine of his original photographs of Coolum during the 80’s. Director of the Art Gallery of University of the Sunshine Coast, Dawn Oelrich says, “Since Blair’s stand-out 2005 “Coodabin-Shoodabin” art exhibition we have acquired some of his most quintessential artworks for our collection. 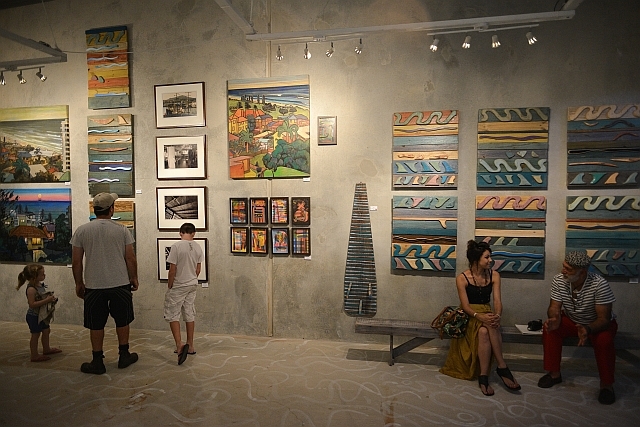 His work is typically a cultural map of Sunshine Coast evolution”. Caloundra Regional Gallery’s current “Sons Of Beaches 72” exhibition also features two of Blair’s 1991 painted photo-copy montages of Somers’ Family Fare Store, on loan from Sunshine Coast Council’s Corporate collection. Last summer, Sunshine Coast Council commissioned two major public artworks from the artist for public street-scapes in Coolum and Marcoola. Since winter he has been back in the studio to just paint. Throughout the 2013 calendar year, Blair travelled to investigate galleries and artist studios around New South Wales, Victoria, Tasmania, New York City, Long Island, Boston and Maine. Ten Mile Beach Holiday Studio is now shaping up as a somewhat incongruous amenity along the esplanade with many passers-by expressing their delight in seeing something interesting returning to Coolum’s original shopping strip. “I am humbled by the positive response there has already been to my gallery. It also is giving our holiday makers the opportunity to see how us locals tick.” says Blair. ” I really hope people enjoy this holiday season and also make time to pop in and witness my perspective on what they are experiencing along our Ten Mile Beach. Ten Mile Beach Holiday Studio open until the end of summer holidays. Well already everyone be familiar with that buy generic cialis found with ease in the Internet. In specific on our website it is full of it. But you forget and constantly you ask.